Lets you play, manage and download all your music with ease and convenience. Amazon Prime customers get unlimited, ad-free access to over a million songs and hundreds of playlists for free. Incorporates 'smart' features to ensure that you get the most out of your music experience with the least amount of effort. Amazon Music for PC is fast. It'll get you from launch to play in seconds. 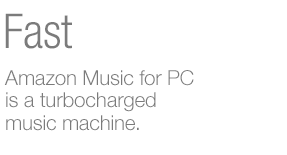 Amazon Music for PC detects and adds new music to your library even if you bought it from iTunes or ripped a CD. Your music library will always be organized and up-to-date. 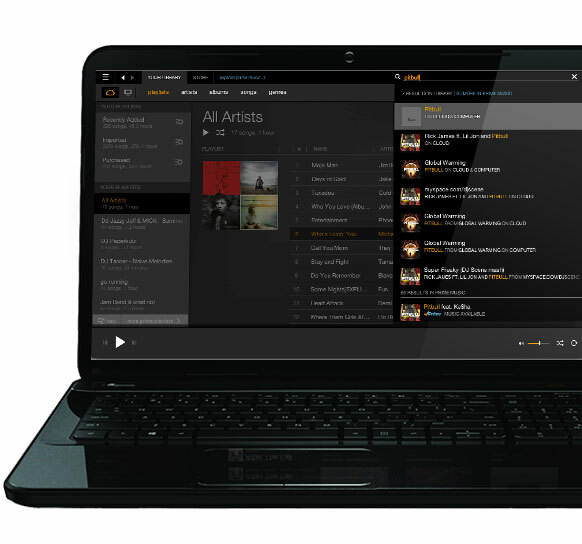 With Amazon Music for PC your music is the star. All your albums, songs and playlists on your computer and in the cloud are at your fingertips. Download your digital music purchases automatically or with one click and enjoy your music even when you're offline. The brand new instant search feature makes finding your music easy and quick. Play albums and songs directly from the search results. All your music is automatically added. We do the work for you. Simply launch Amazon Music for PC and we’ll add your iTunes, Amazon and Windows Media Player music for you. Now you can finally play all your music from one place. Your music library is always up-to-date. Prefer to use other players to listen to music? Amazon Music for PC lets you automatically export your Amazon digital music purchases to iTunes and Windows Media Player. Amazon Music for PC is fast. It’ll get you from launch to play in seconds. Buy an AutoRip CD from Amazon and a free MP3 version of the album will be instantly added to your Amazon Music for PC library even before your CD arrives. Forget bloated players. 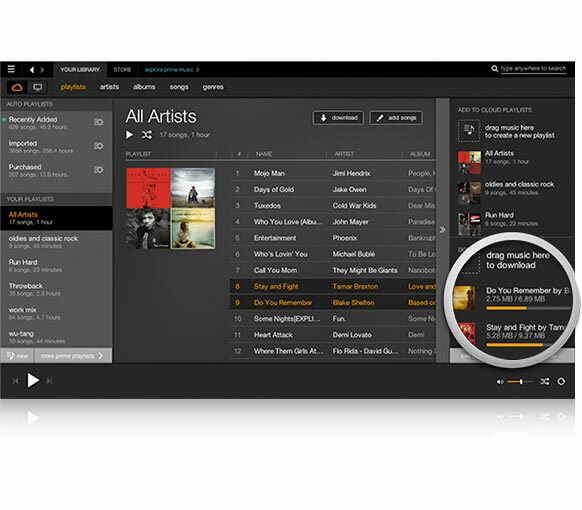 Amazon Music for PC downloads quickly and is all about the music.